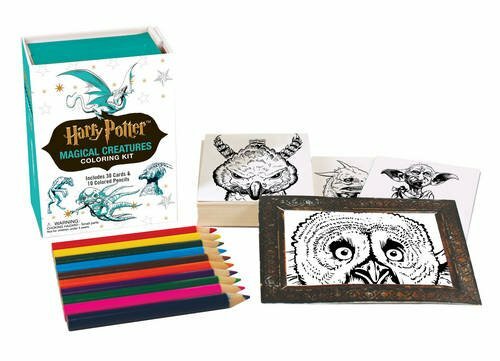 Home > Celebrate > Magical Harry Potter Gifts for Adults Who Love Hogwarts! 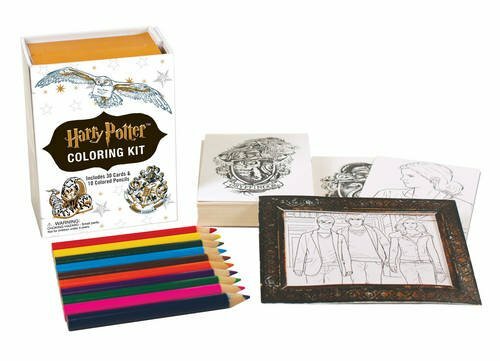 If you have a Harry Potter fan on your gift list count yourself lucky, because they could be the EASIEST person to shop for. 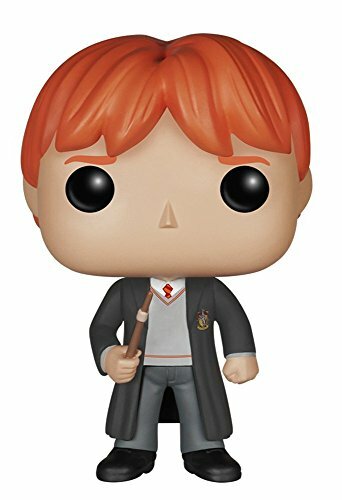 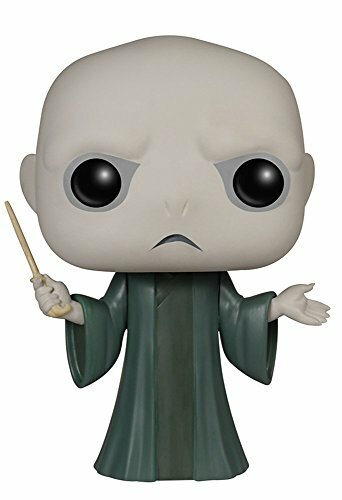 Seriously there are so many UNIQUE gift ideas for fans of the Boy who Lived that you’ll look forward to shopping for them again next year! 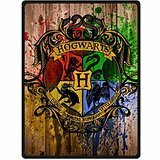 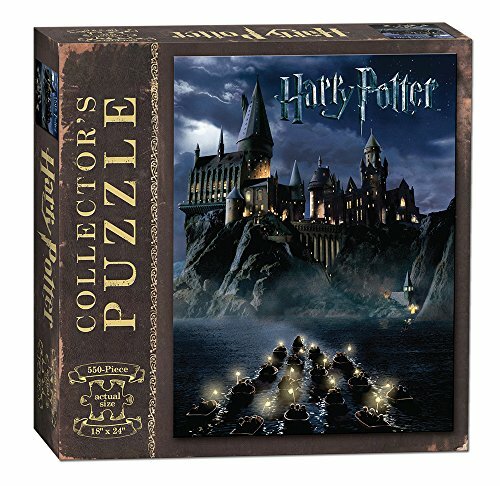 We have spent HOURS checking out Harry Potter “stuff” in order to put together what we like to call the ULTIMATE Harry Potter Gifts Guide filled with Magical Harry Potter Gifts for Adults Who LOVE Hogwarts! 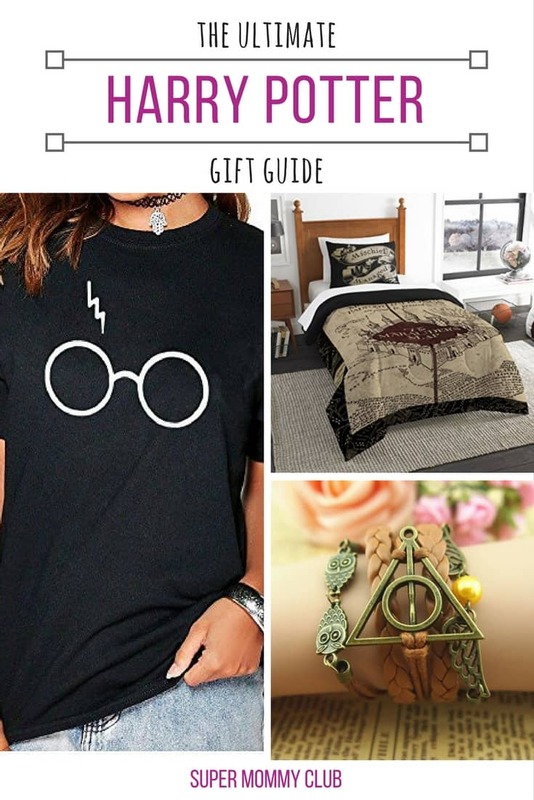 So all you have to do is browse through our guide, pick out something your Harry Potter loving muggle will ADORE and then sit back and take all the credit when they get SUPER EXCITED about their gift! 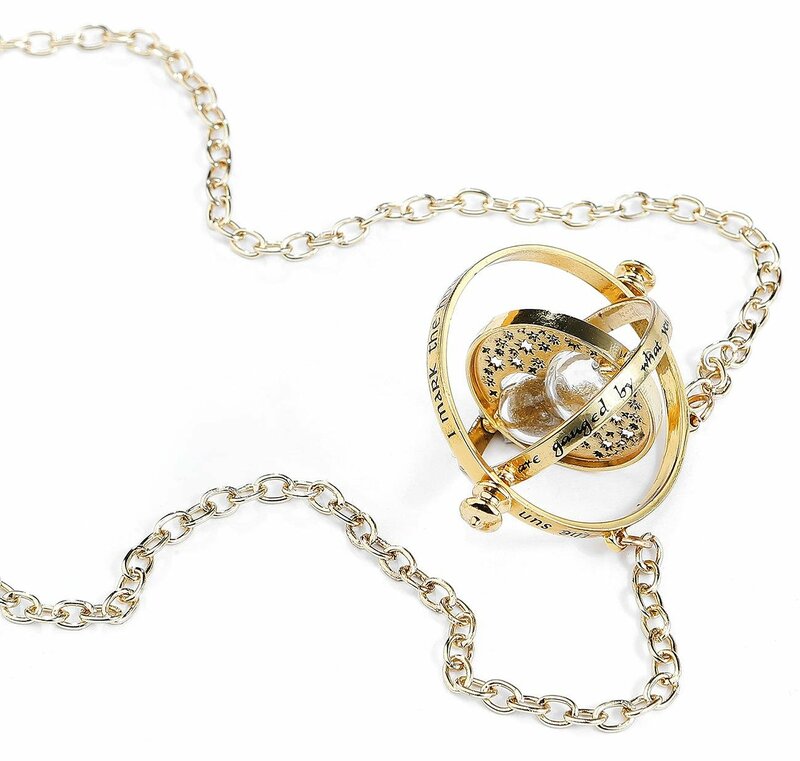 Noble Collection – Harry Potter – Hermione’s Time Turner I am a HUGE Harry Potter fan and the one thing I would LOVE is Hermione’s Time Turner necklace. 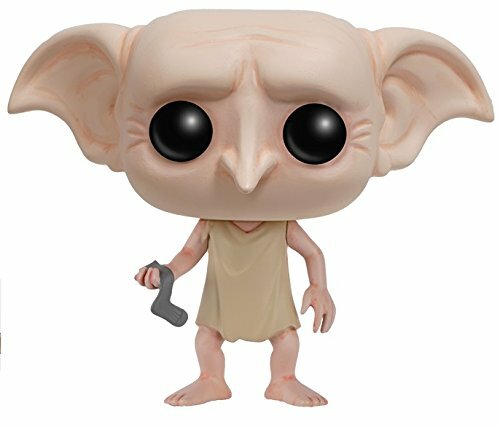 Who doesn’t wish they could be in two places at once to get more done! 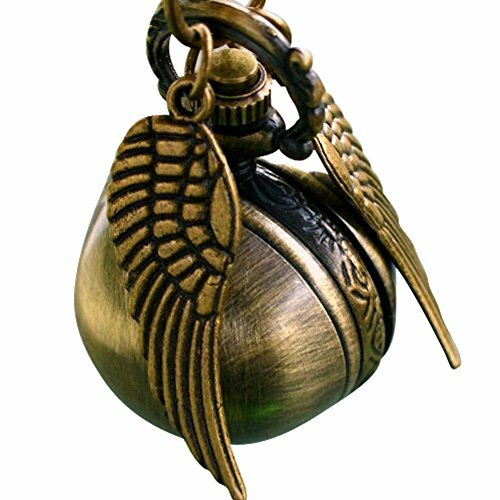 This gorgeous 18k gold replica is the next best thing. 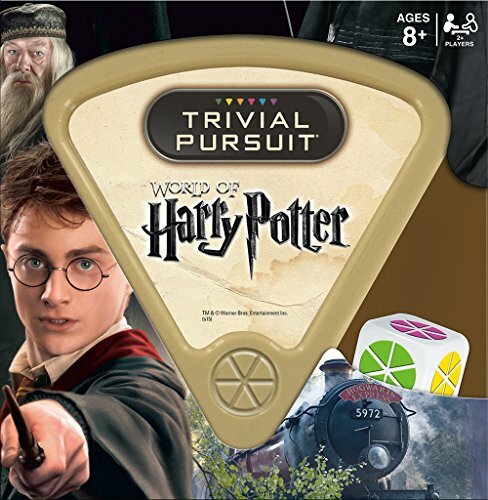 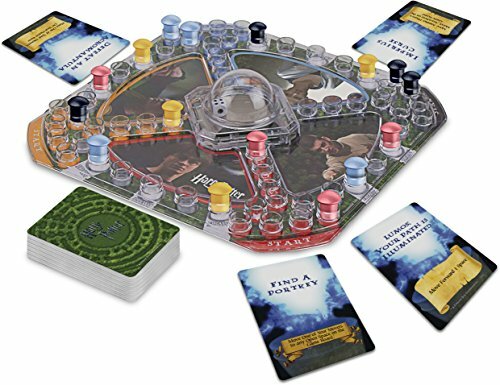 If your Harry Potter fan loves playing games then this travel Trivial Pursuit is a great gift idea. 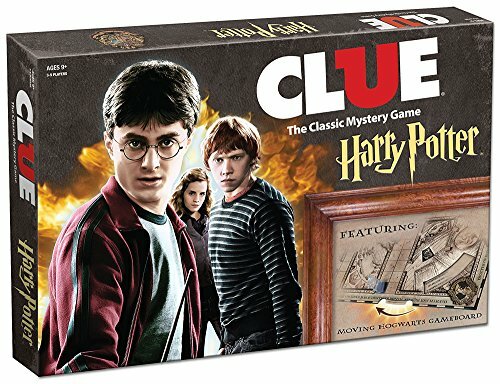 There’s 600 questions to test everyone’s knowledge of the Harry Potter movies, and it’s portable so it’s perfect for road trips or airplane journeys, as well as playing at home or in a restaurant. 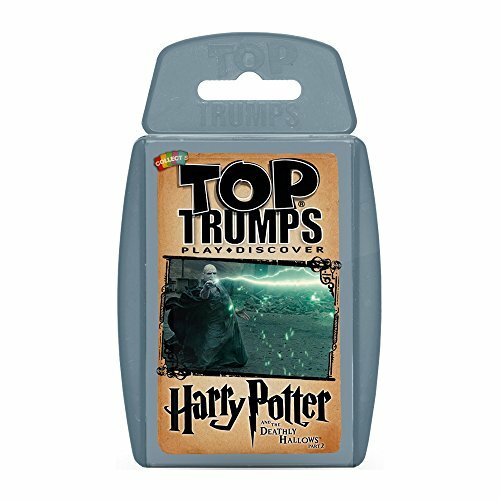 If you’re looking for a Harry Potter Card Game that is quick and easy to play (and perfect for road trips) you can’t go wrong with Top Trumps! 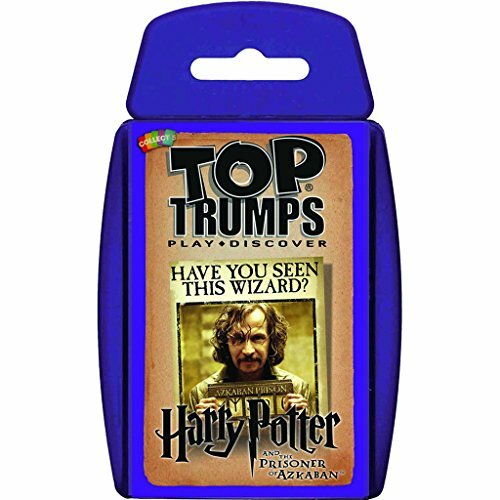 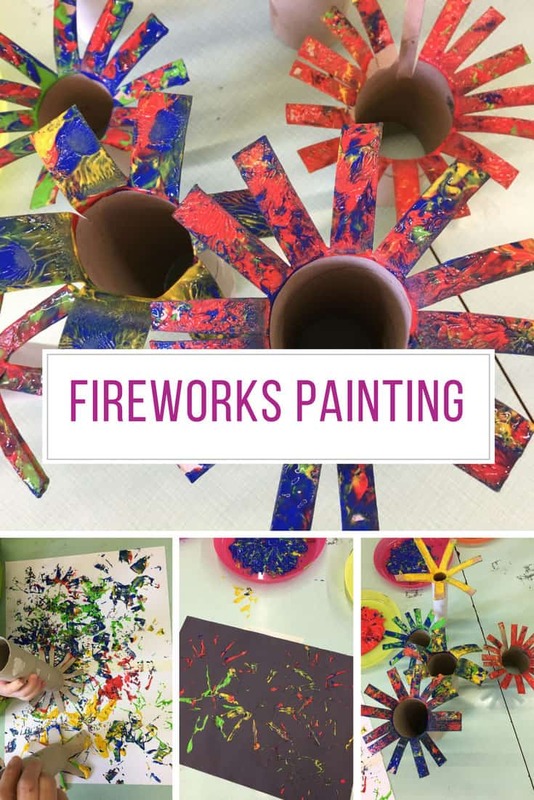 They’re fun to play but are also educational and helps with literacy, numeracy and critical thinking. 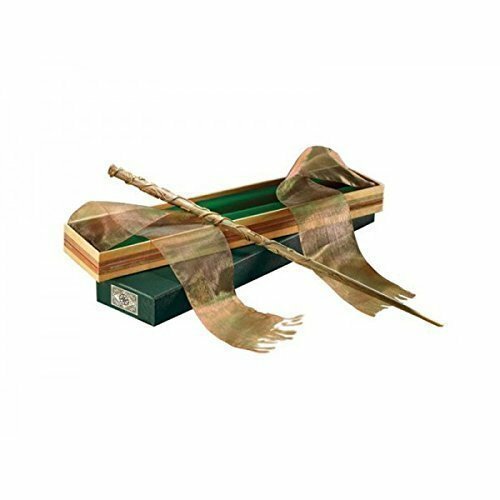 Every good witch or wizard needs a wand and this authentic prop replica of Hermione’s wand is beautiful. 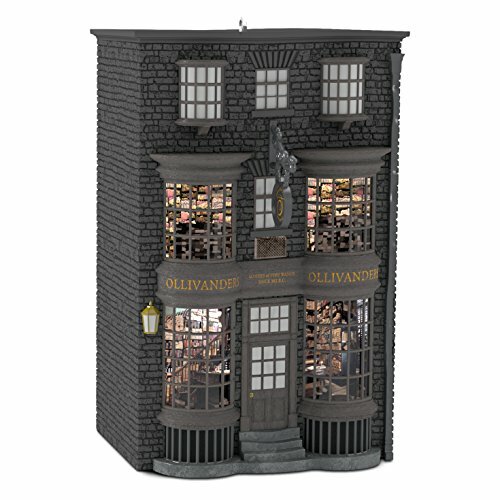 It sits inside a collector’s box which looks like it came straight off the shelf of Ollivander’s Wand Shop! 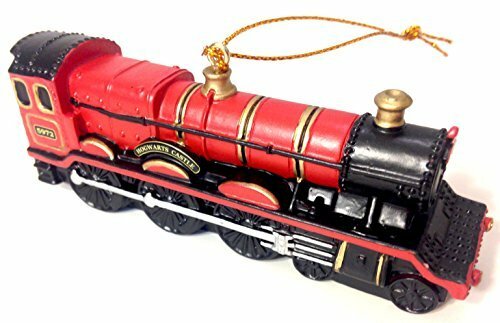 It’s made of resin but has a good weight to it so it feels just like it’s made of vine wood. 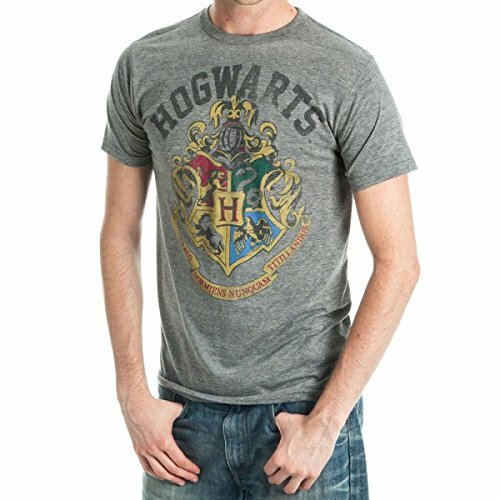 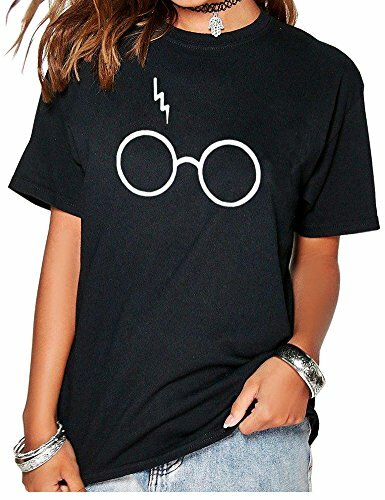 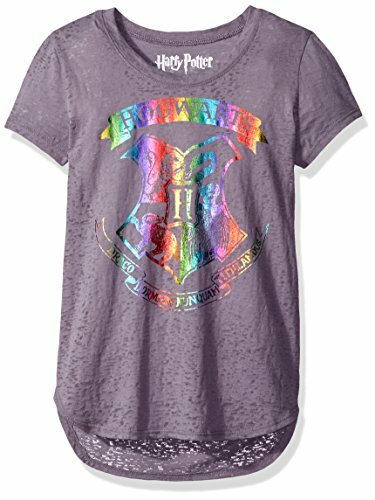 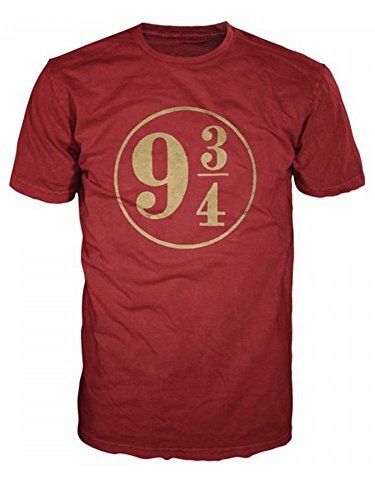 If you’re looking for a T-shirt for your Harry Potter fan there are lots available but this one is a real favourite. 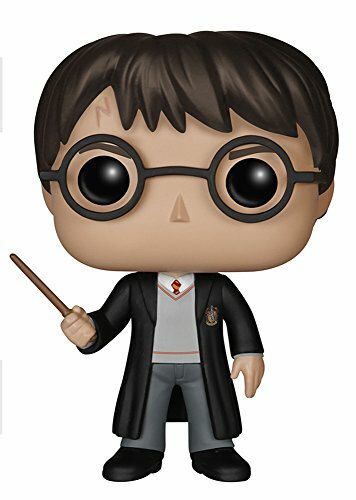 There’s just something so striking about Harry’s glasses and that infamous lighting strike! 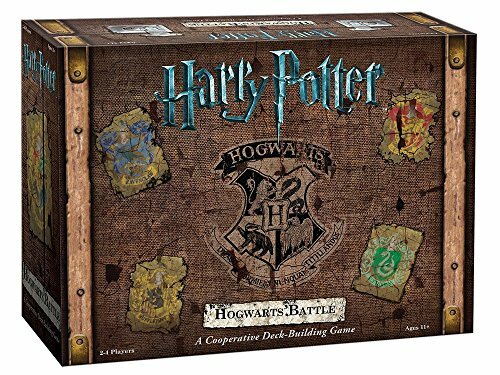 This Quidditch Set is a Really Cool Harry Potter Gift! 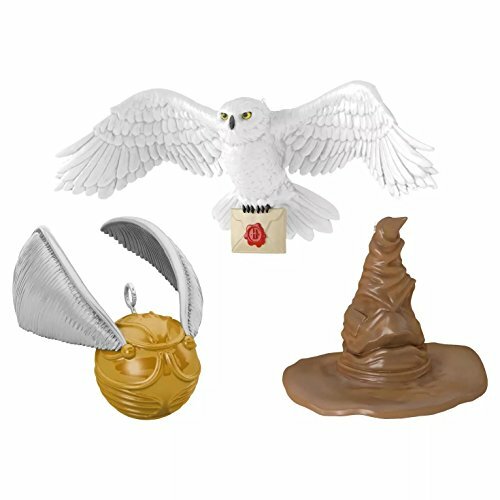 As soon as I saw this collectible Quidditch set I knew it HAD to make this list of Cool Harry Potter Gifts. 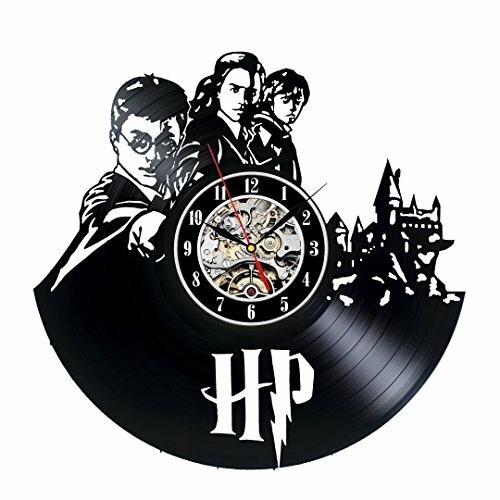 I mean what could be cooler? 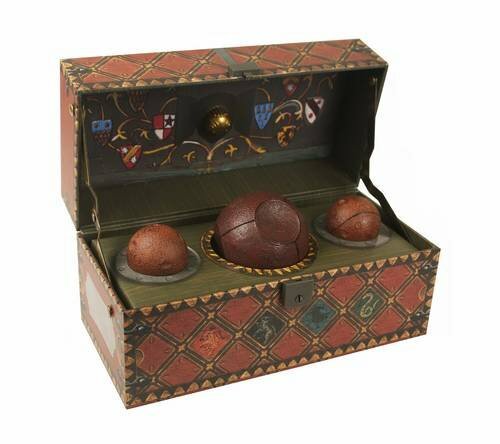 Inside this fabulous trunk is a set of Quidditch balls and of course a Snitch! 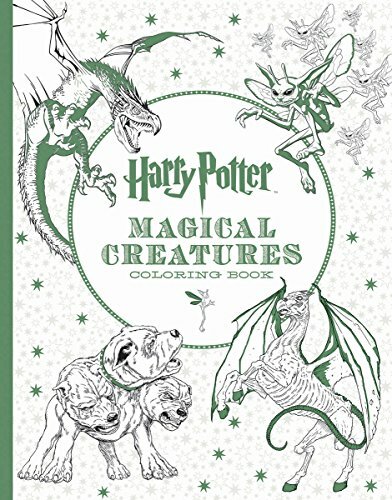 Note I said this was a collectible set. 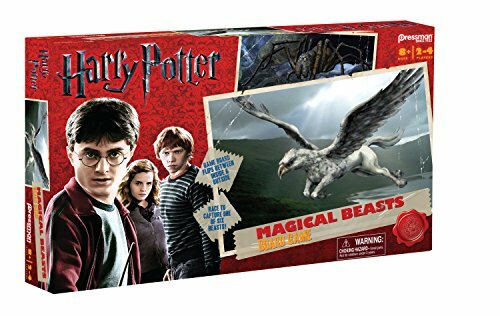 So your Harry Potter fan can put it on a shelf and admire it. 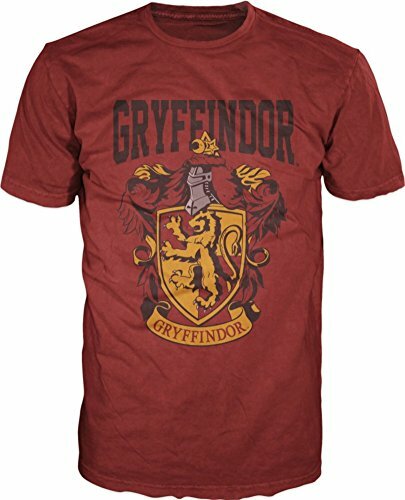 It’s not magic so you can’t really play Quidditch with it! 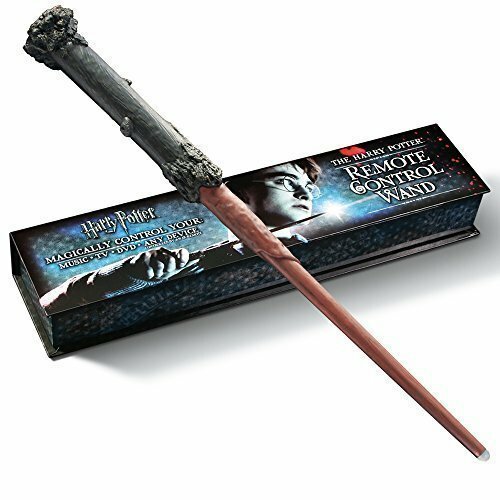 Your friend will turn from Muggle to Wizard with this TV remote control wand that would make Ollivander proud. 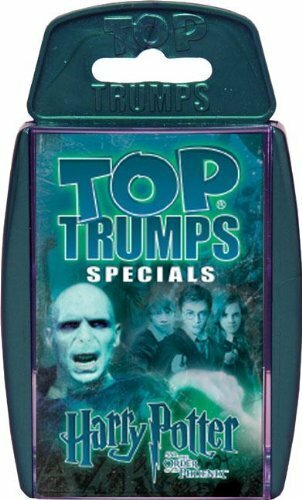 They’ll need to have a few practice sessions but in no time they’ll be casting spells every they want to switch channels! 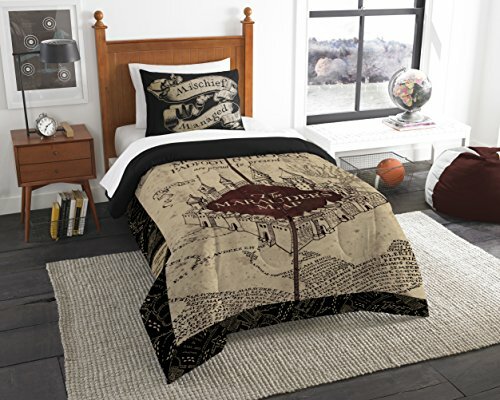 Every Harry Potter fan wants a Marauder’s Map, and this tapestry throw is the next best thing! 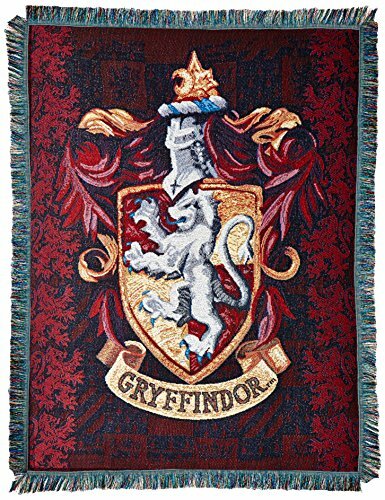 It looks AMAZING hanging on the wall, especially if its surrounded by some fairy string lights! 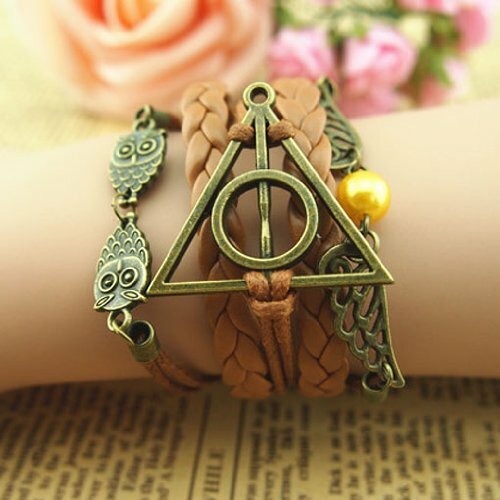 In our search for the best gifts for Harry Potter fans we discovered this GORGEOUS charm bracelet with the Deathly Hallows logo, a snitch and two Hedwig pendants. 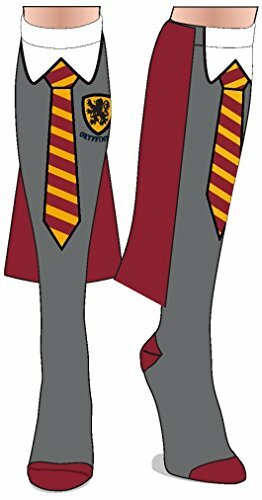 All of the bands are connected but it can be resized to fit the wrist snugly. 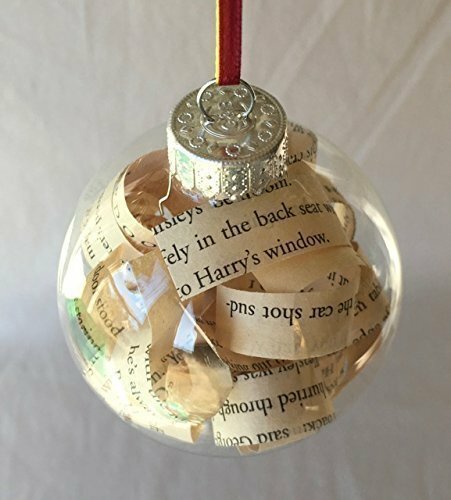 If you’re looking for a stocking stuffer this bracelet is perfect! 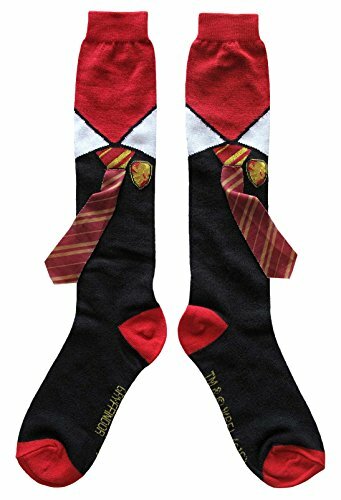 Harry Potter Socks Make Socks for Christmas Cool Again! 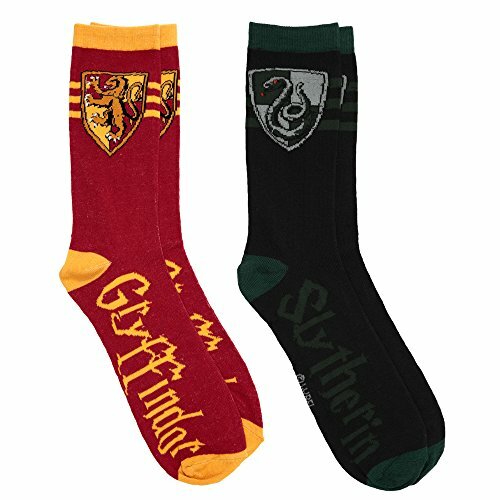 Christmas isn’t Christmas without new socks remember, and these Hogwarts House socks are FABULOUS! 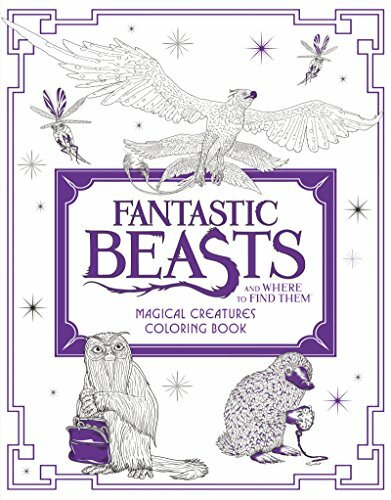 Do you know what I love most about them? 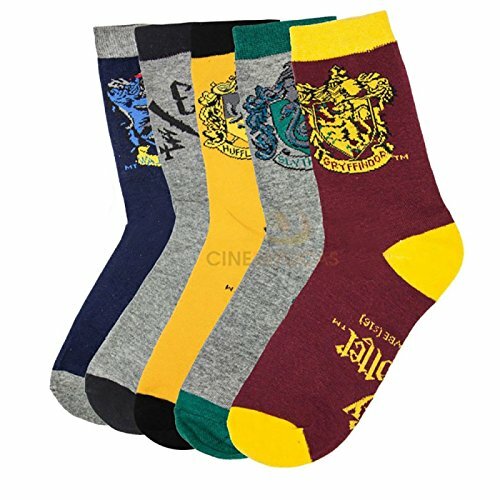 There are five socks in this set. 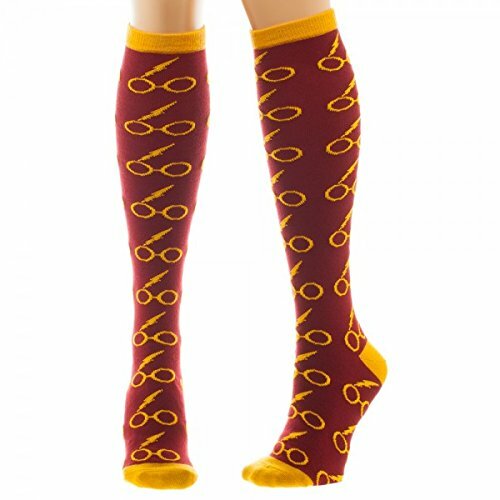 Which means your Harry Potter fan is encouraged to wear odd socks! 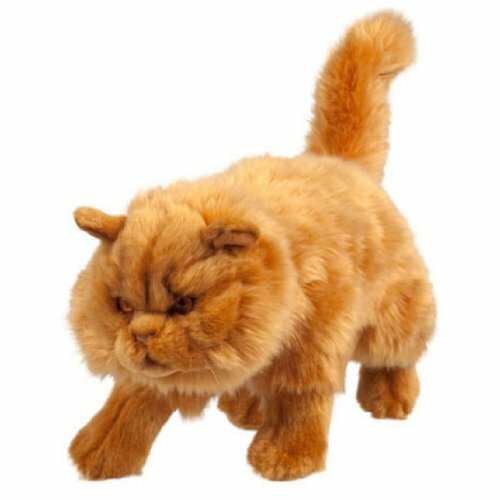 And now for something completely different… a fabulous plush Crookshanks the cat! 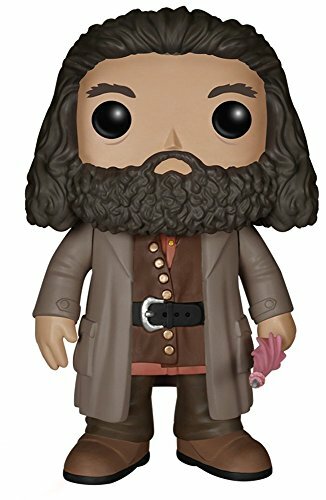 He’s 18 inches long and looks suitably cross (as if Scabbers has just escaped him again!). 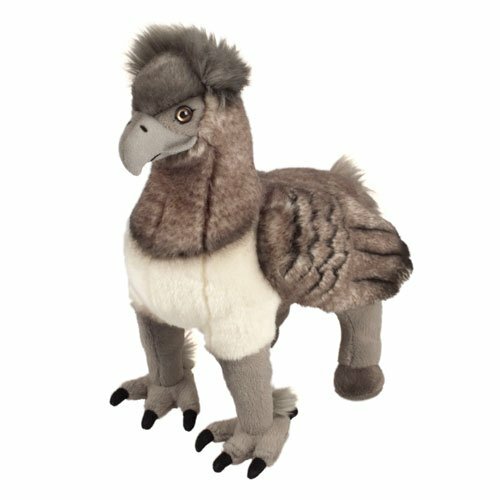 He can stand up all by himself and looks super realistic! 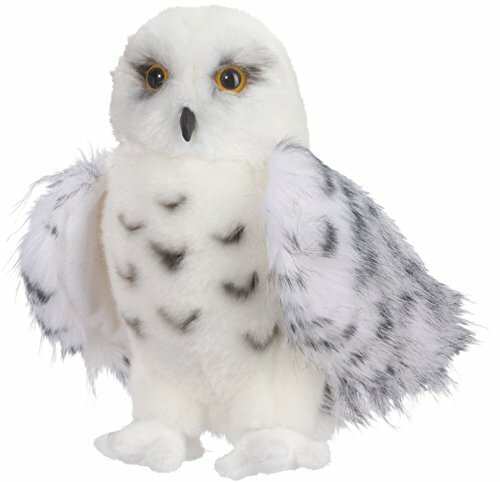 We love these Hedwig and BuckBeat plushes too! 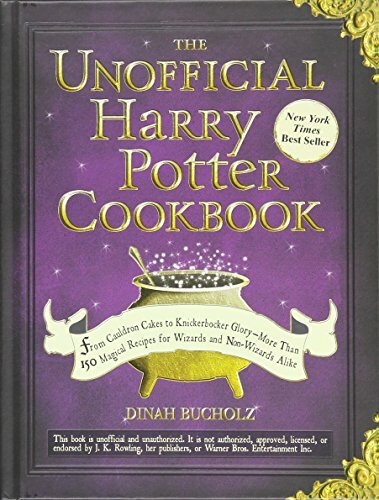 Here’s a fabulous gift idea for Harry Potter fans who love to cook… A recipe book with 150 different recipes inspired by the Harry Potter books. 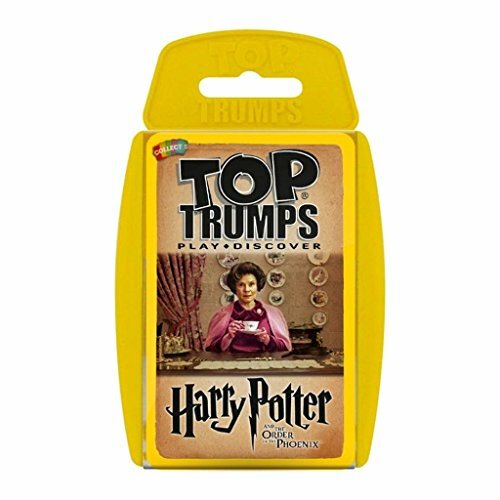 From Roast Chicken and Mashed Potatoes to Treacle Tart your friend will be able to make dinner to rival Molly Weasleys! 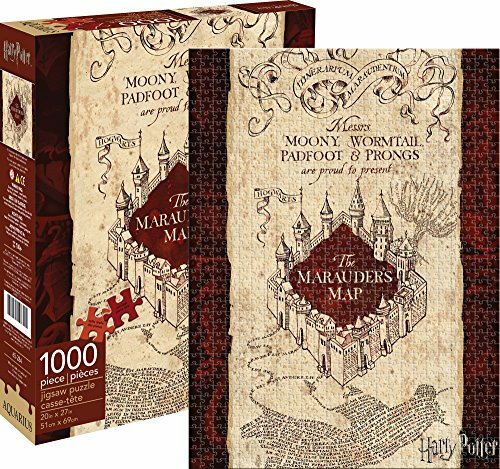 Here’s a gift idea based on the infamous Marauders Map. 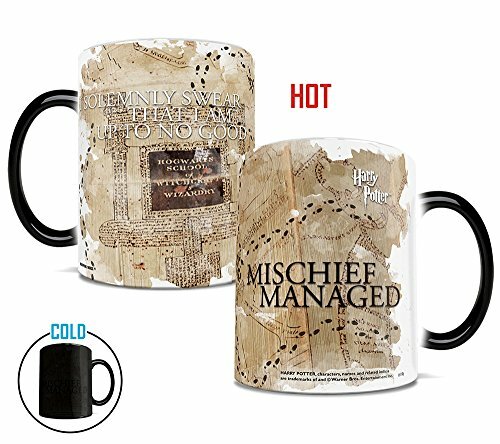 When it’s cold it’s a black mug that says “I solemnly swear that I am up to no good”. 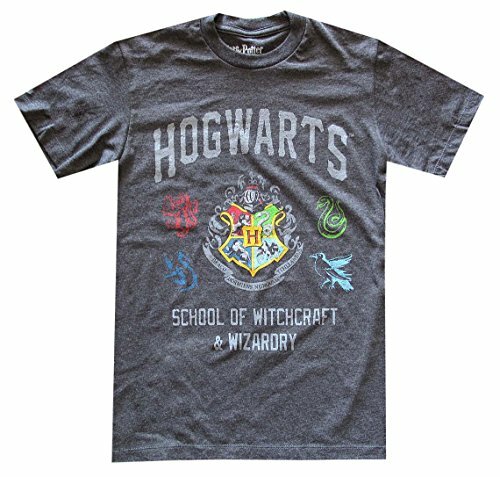 And then as hot water is poured into it footsteps appear and it says “Mischief Managed”! 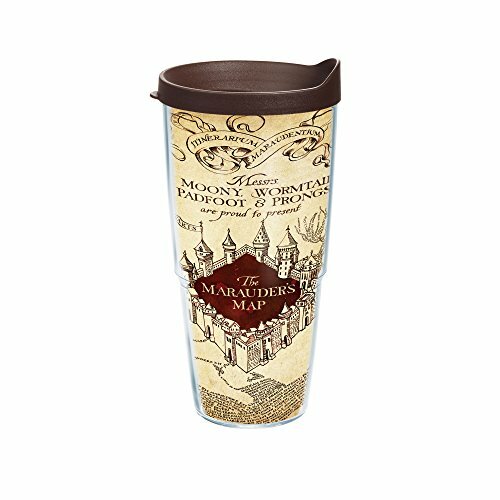 It’s a unique Harry Potter gift idea for someone on your list who needs coffee to start the day! 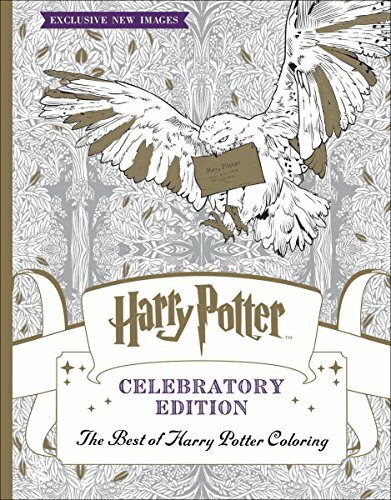 Adult colouring books are still hugely popular and this one will make a fabulous stocking stuffer for your Harry Potter fan. 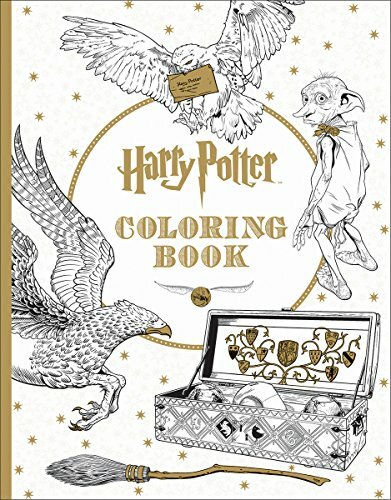 The book is filled with illustrations from across the Wizarding World from Hogwarts to the Forbidden Forest, to the infamous battle between the Boy Who Lived and the Dark Lord! 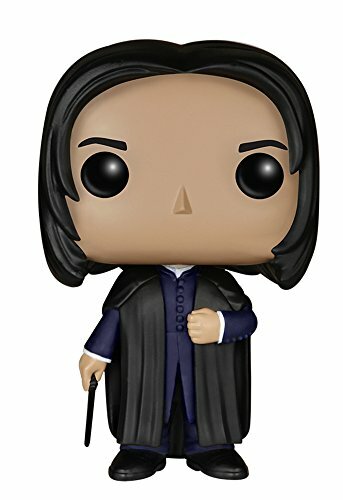 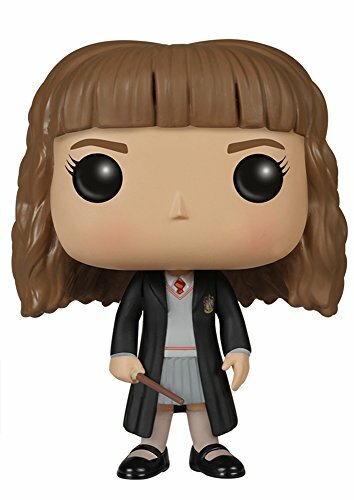 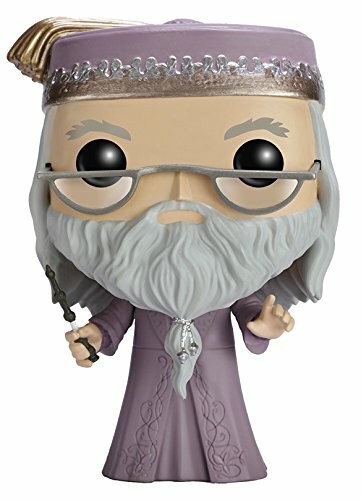 These vinyl figures make great gift ideas and if Harry Potter isn’t their favourite character you could choose Hagrid, Dumbledore, or one of the many other characters that have been captured as stylised 3.75 inch vinyl statues! 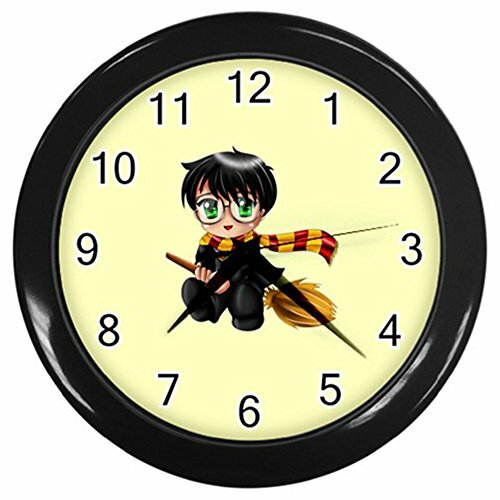 Harry Potter Clocks are the PERFECT Gift If Your Friend is ALWAYS Late! 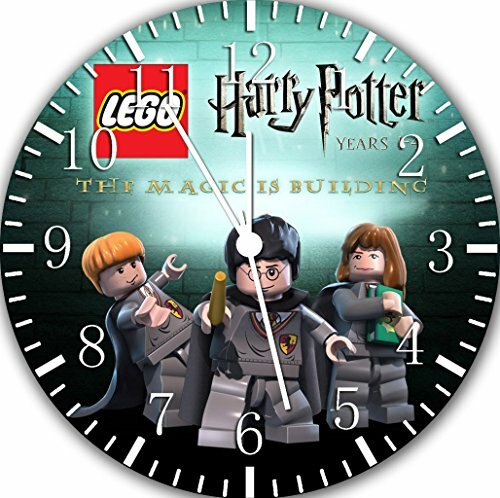 Harry Potter clocks will help you keep track of the time until your letter from Hogwarts arrives! 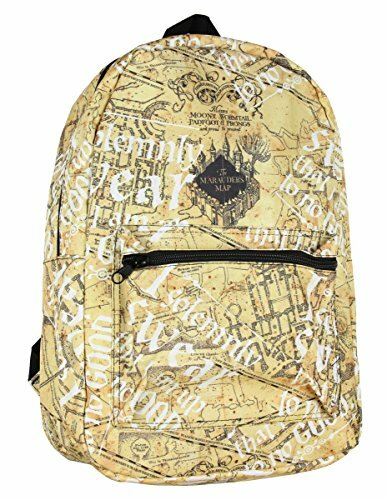 For fans of the Harry Potter books and movies you can never have too much Potter goodness. 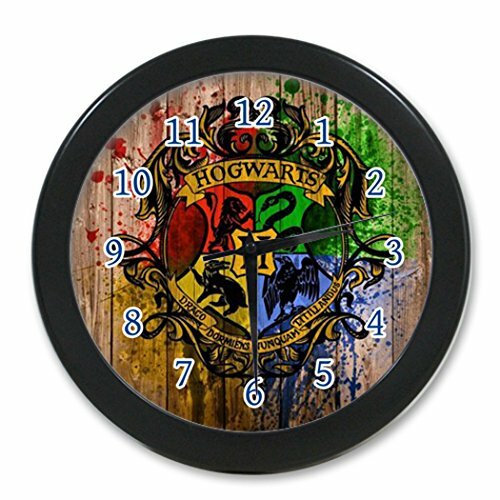 These clocks are perfect for gift giving. 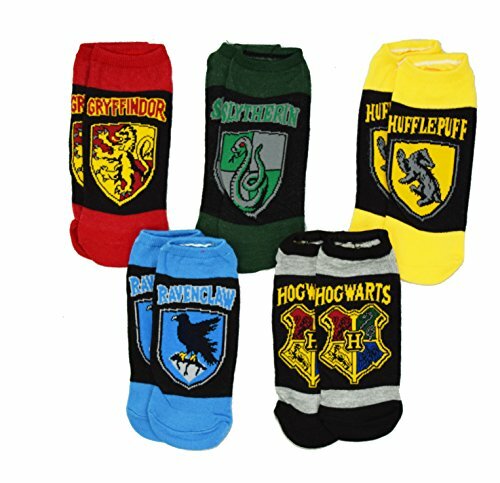 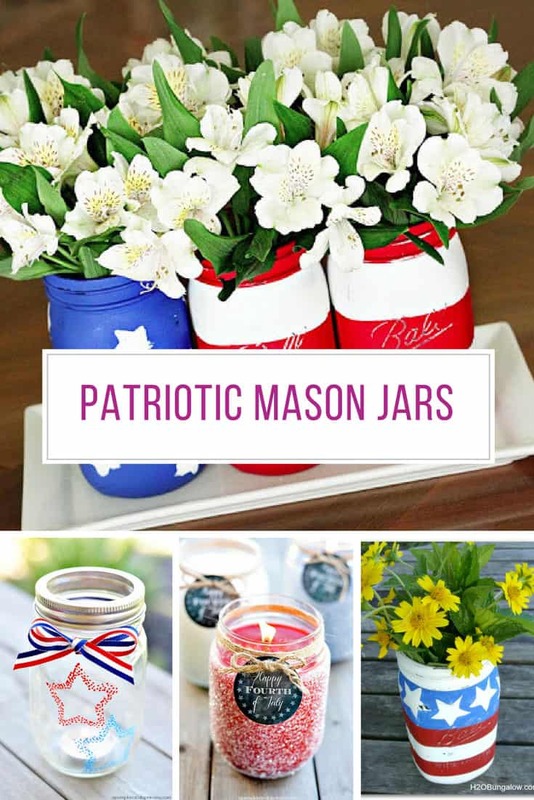 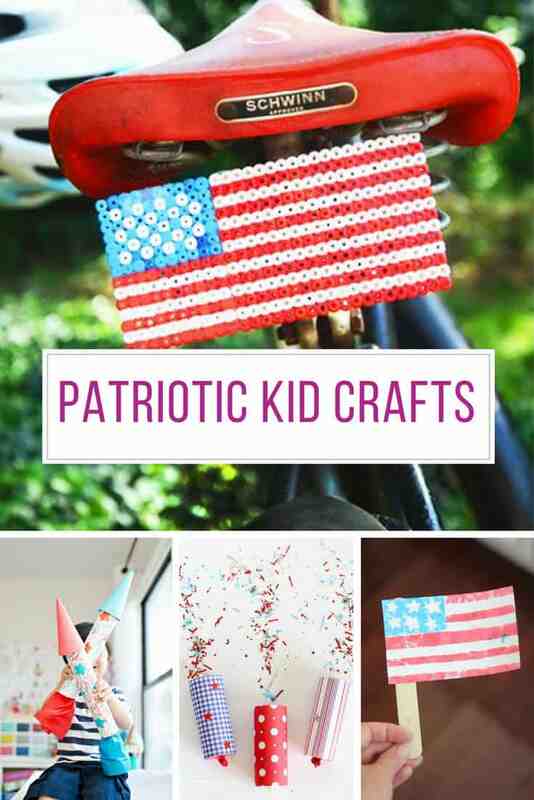 They are also perfect if you want to give yourself a gift. 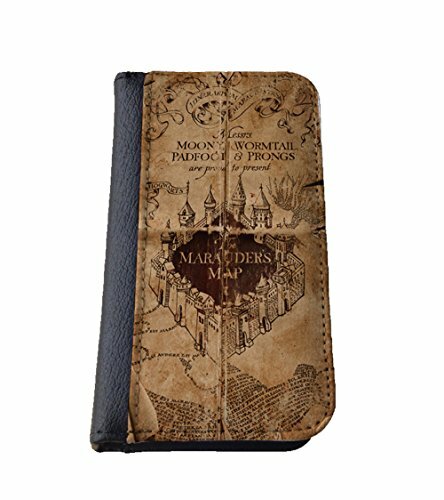 You deserve it, right? 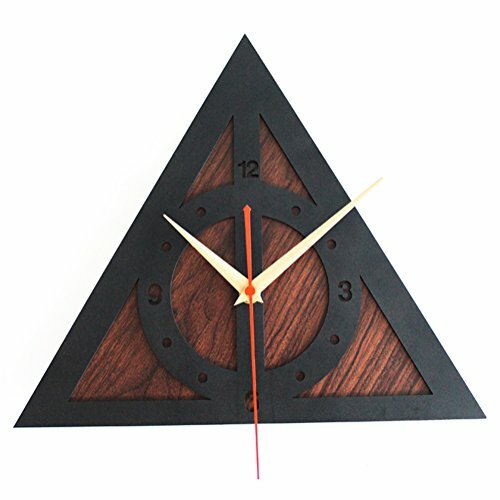 Ahem, I might be buying the snitch clock necklace for myself because it is so unique! 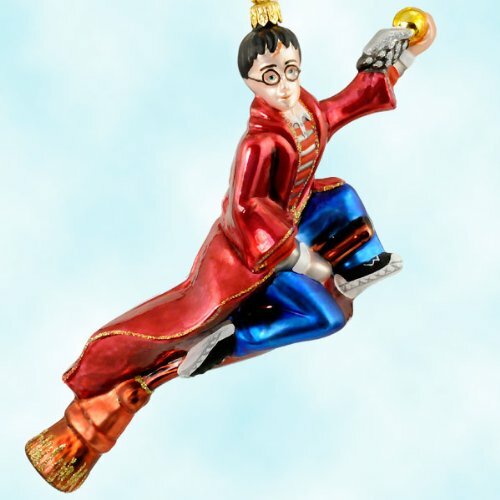 These Harry Potter Christmas Tree Ornaments are something special! 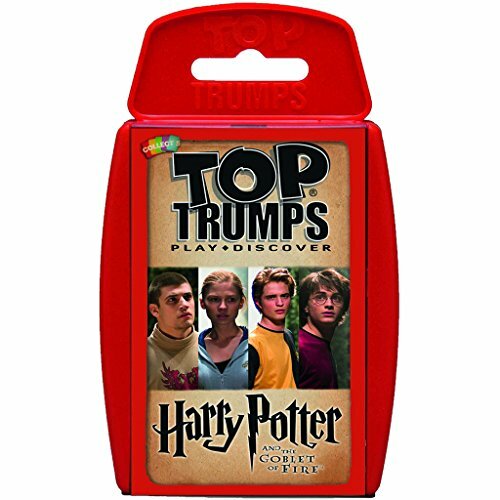 They are the perfect gift idea for Harry Potter fans. 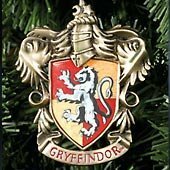 Your gift will help them remember the joy of the books and movies by giving them a unique Harry Potter ornament they can hang on their tree year after year.